We’re at the end of our second week with K12, and we have three kids enrolled (Grades 1, 4 & 6) and one very active two-year-old getting into everything when my back is turned (say, when I’m trying to help one of the older kids with schoolwork). There is TOO MUCH WORK to get through for all three kids–even when we skip lesson work that the kids already know and just do the assessment at the end. Our oldest doesn’t like art, though our girls do. Two art classes each week is at least one too many for him, while my girls (at least the older of the two) look forward to it. There hasn’t been a single day when we got through all the lessons for all three kids, and when we try to do so, there’s no time for ANYTHING ELSE but school–no playing outside, no running errands, nothing. I’m burned out, already, though I told my husband (who wants my homeschool to look more like school at home) that I’d stick it out until December 23rd, which is when Christmas break begins. I’m fried. I don’t know that we’ll last that long. It seems to work all right for our fourth grade daughter, but she finds their physical science and history classes boring, and she’s not fond of their math program, either. Honestly, I don’t think their math books do a good job of explaining the math concepts, so I end up explaining them to her myself in a different way. I think we make more progress together in math using the white board at home. I do like the on-line daily & weekly plans, progress tracker and links to helpful/educational websites, but I don’t like the content of the lessons, and I honestly think we can do better in that department. I’m looking at homeschooling software that will give us what I like about the K12 OLS but will allow us to use our own content. I know I need help with keeping careful and complete records of their work and of what we’ve covered. But K12 is not the answer. It’s Saturday, and I’m having to assign catch-up work to the kids when we’d rather just be enjoying our Saturday together. Previous Post T4L High School Review Next Post Loveeeeeeeeeeeeee MATH U See!!! I’m considering schooling my 7 year old first grader at home. I was thinking about using K12 virtual Academy only because I am new to “homeschooling” (I understand it is actually “public school” online at home not “homeschooling” ) and need structure and curriculum layed out for me and need something tuition free. My son is meeting everything at grade point (and advanced in reading) but is being bullied and we’re unhappy with how the school is handling things. The social problems are now interfering with his learning and things just aren’t working out. My husband and his family thinks I’m cheating our son out of an education if it’s not state accredited and doesn’t cover everything exactly the way public schools do resulting in an official high school diploma. However I feel that a homeschool curriculum different than the schools may be way better for our son and our family, and we would most likely put him in public school around middle school age anyway. What other homeschool programs could you all recommend to someone new at all this? Thank you for your help! Thanks for checking in! I’m sorry to hear about your son’s experience – my youngest is the same age. I have a couple of thoughts that may help you. It looks like you have two issues: 1) handling your son’s negative environment and 2) getting agreement between your husband and you about what a quality education consists of. 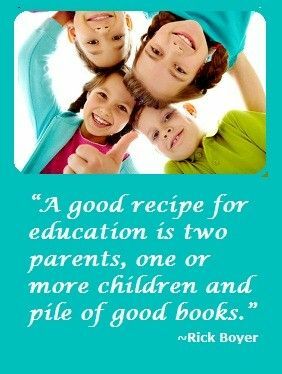 The first step is to understand the process within your state/district for homeschooling or any alternative education. This lets you figure out how stringent the requirements will be and give you a sense of how long things might take. 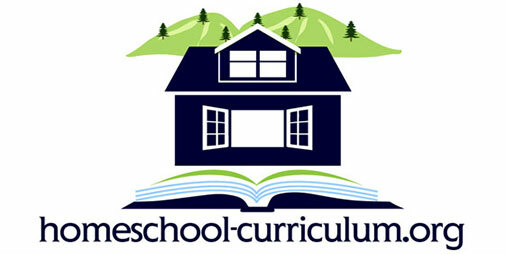 education tailored your child’s specific interests by having a general understanding of what common core covers (it’s not that bad), using local resources like libraries, museums, and clubs to supplement his learning, and getting involved in hobby groups that meet his passion to address the social aspect. I can’t recommend specific tuition-free curricula for you because I don’t know the legal requirements where you live. They way I’d handle this is to reach out to a homeschooling group in your area. These can be easily found through an online search. Get your husband’s questions along with your own and talk to 3-5 parents in that group. They’ll have a wealth of knowledge and will guide you toward resources that can best help you. Good luck with the process. It seems daunting, but is manageable if taken one step at a time! favorite to check out new information in your web site. I’ve been using K-12 for my daughter. She’s going into 3rd grade this year. I just signed my son up for K. I’ve been dreading the first day of school for them. I’ve stuck it out this far. I’m so happy to read I’m not the only parent that feels they are required to do so much work each day. I remember my daughters first day of K . We worked for 8 hours and still didn’t finish. I’m looking into Sky Mountain Charter schools. Thank you so much for your post. I don’t feel so alone. That’s very good to know! I was wondering what k12 was like for elementary students. I could imagine it being overwhelming with more than one little one since I’ve been told it still requires a lot of hands on from the parents.